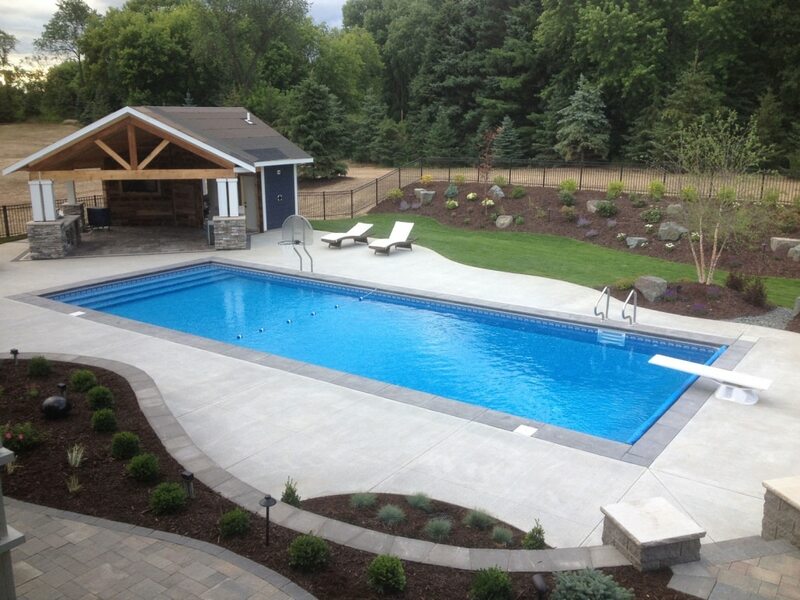 Installing a swimming pool presents a number of custom design opportunities to meet your needs. Decisions regarding size, configuration, depth, type of use (lap pools, sports pools, diving pools, etc), equipment, and storage all add up to a new pool specific to you through swimming pool design. Landscapes Unlimited works with you and the pool contractor to make sure you are asking the right questions and getting the right answers for a successful pool installation. 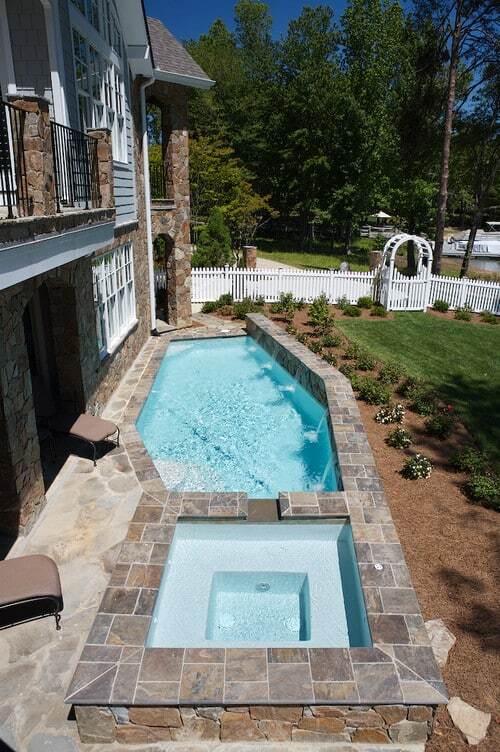 A backyard swimming pool design is the ultimate amenity. 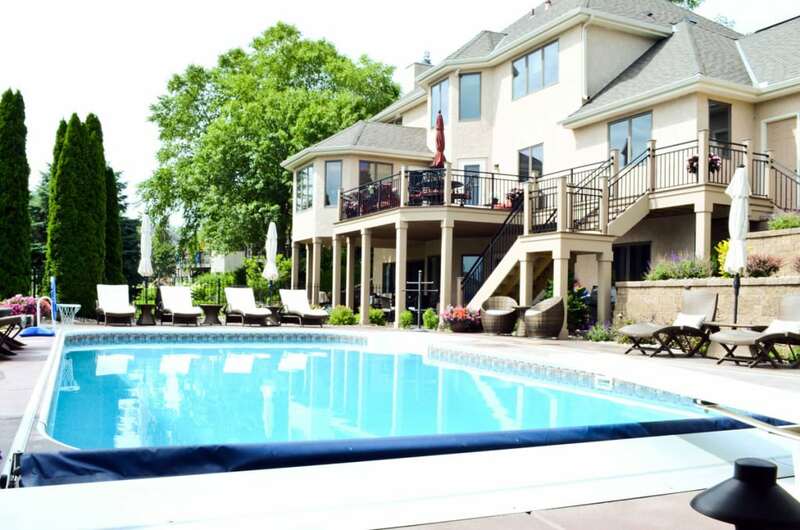 From families with children spending much of their summers in the water, to homeowners that may see the investment of a pool as a strong aesthetic element. Both opportunities result in the swimming pool becoming the focus of the entire backyard landscape. 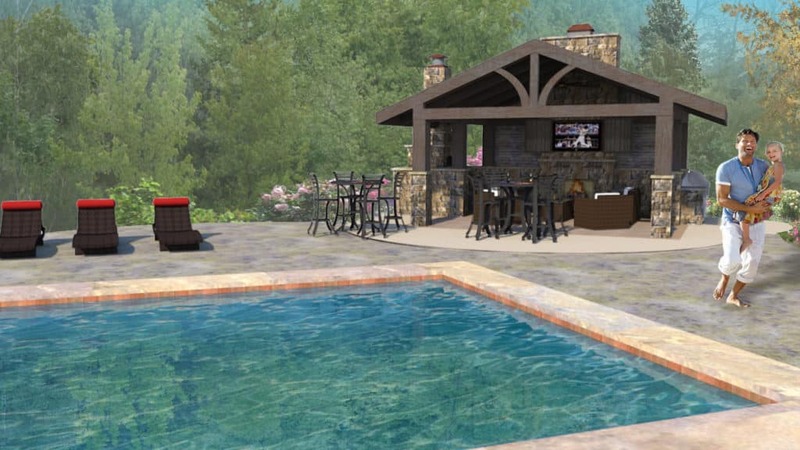 Today, swimming pool designs include water features, outdoor lighting, kitchen spaces, and other focal design features that have a powerful influence on adjacent outdoor living spaces and surrounding landscapes. Because pools are such an investment, it’s important to give a lot of time to design. As an investment, you would hope to only build it once, and therefore your choice of materials and detailing should be of quality and timeless so your pool design will last for years to come. Design with your homes architecture and surroundings in mind. Listen to these experts in pool design, as they will guide you along the proper path for your investment. Consultation – a designer will meet with you on site, discussing the goals, expectations, and scope of the swimming pool project. Schematic Design – after a consultation and agreement of design, our landscape design staff will compile all the field notes into a schematic design, outlaying the opportunities your backyard presents. Final Landscape Design – once the schematic designs have been presented to the customer, the notes taken during that presentation will be integrated into a final landscape plan and design. From this final plan, we are able to formulate budgetary numbers for the cost of the swimming pool landscape project. Construction – once the final landscape plan has been approved, expert craftsmen translate the designer’s drawings into your outdoor space.